After Mentone came further study at the University of Melbourne towards a combined Arts/Law degree. The arts half of the degree was focused on politics; however, though he enjoyed his learning in this topic he decided against pursuing a career in this “imperfect system”. In the meantime, though unsure how he felt about law at the beginning of his studies, he became increasingly engaged in it over the five-year course of the degree. He found not only that it offered the prospect of a solid career, but that it inspired him with the opportunity to make a positive difference in people’s lives – something that appealed greatly to his Christian values. Upon his 1993 graduation, he entered the profession right away with the firm Maddock Lonie Chisolm (now known as Maddocks), gaining experience in the areas of litigation, property, commercial and local government departments. After several years of professional legal experience with Maddocks, Glenn founded his own firm, Duker & Associates which handled a lot of commercial litigation cases in the late 1990s. This included trademark cases such as that of the well-known Boxacise brand. A move to the Gold Coast in Queensland followed, where he founded another firm called Settle It Legal. At this time mediation was becoming a popular alternative to litigation, thanks to its lower cost and likelihood of faster resolution; recognising this, the firm focused its energies on this method of handling disputes. 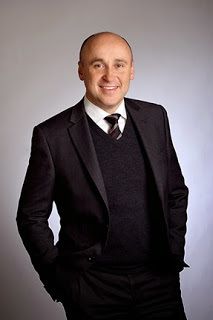 Glenn returned to Melbourne in 2008, founding a new firm in which he was principal by the name of PCL Lawyers. This firm specialises in family, property and commercial law. Glenn himself has particular interests within these categories of law, including franchise legislation and commercial leasing. As an example, Glenn had a case on behalf of the applicant that helped to further define the modern understanding of what is a retail lease, as “retail” is not clearly defined in the Act. This case was Global Tiger Logistics Pty Limited vs the Chapel Street Trust and was heard by VCAT. The central contention in this case was whether it was correct for Global Tiger Logistics to be using a property under a retail lease, or if it should instead be under a business lease, due the nature of its operations. It was found, in this case, that Global Tiger Logistics could be defined as a retail business as the provision of logistics involved “the sale of a service to an ultimate consumer”, and it did not matter whether the consumer was commercial or private. This case is now referred to by other similar cases as a guideline. At this stage, Glenn’s career in law has spanned over 20 years and has covered the areas of: family law; commercial law; compulsory acquisition of land; insolvency; franchising and breach of contract. He is a senior lawyer who works hard for and cares about his clients. As well, he runs commercial litigation matters and provides legal advice to businesses. Another example of his concern about instances where legal and social issues intersect is shown in his piece “Vicroads has taken away my business.” This focuses on business owner rights to compensation when Vicroads exercises its ability to acquire land for roading projects, such as widening a railway line. If the effected business owner leases the property rather than owns it, they of course will not be compensated for the value of the building. However, they can be compensated for moving costs as well as the remainder of their lease and loss of profit that may occur from moving away from that location. Glenn has also provided advice for business owners with “Two things you must do before signing a commercial lease.” This piece can its readers save money by helping them avoid costly mistakes. To write this, Glenn drew on his extensive background advising lessees about taking on new leases as well as his work helping them afterwards when disputes occur with the landlord. His focus on commercial lease law has seasoned him well in this area and he has a long record of offering advice to all kinds of clients and industries, from small stores to large shopping centres. He has also been an active representative at mediations before the Small Business Commissioner and VCAT. His experience in all kinds of lease disputes and his extensive knowledge enables him to successfully advise clients when encountering a new problem he hasn’t seen before (which doesn’t happen very often these days!). Other articles include “What to do When Vicroads takes your back yard”, “Three three types of Tenant issues – Five year Minimum Lease Term, Key Money and VCAT as an Enforcement Measure” and “Lease Tenant rights in Victoria” and “Commercial Lease default with Glenn Duker”. Glenn also offers his advice in other contemporary mediums, with various podcasts hosted on iTunes on topics such as essential considerations for commercial leases and information about compulsory acquisition of land. He is pleased to share his broad working knowledge of the law with his listeners and readers, and contribute positively to the well-being of their businesses and lives.